The full height turnstile gate is the highest security access control gate. The mechanism is similar to the tripod turnstile gate ones. The open and close of the gates are controlled by two square solenoids. But there is no round solenoid on the full high turnstile mechanism. There are two configurations for emergency operation. Equipped with 2 locks to pull the solenoids when the power is cut off. The solenoid only electrifying when there is an open signal. Reverse the solenoid working mode. The solenoid is powered on all the time. Only when there is an open signal, the power will be cut off. In this case, there is a high requirement for the solenoid. So we will use the bigger one. The waist height turnstile is the same working mode as the full height turnstile. The full height security turnstiles can be used indoor and outdoor. A full height turnstile is an excellent deterrent to protect the property from unauthorized individuals. 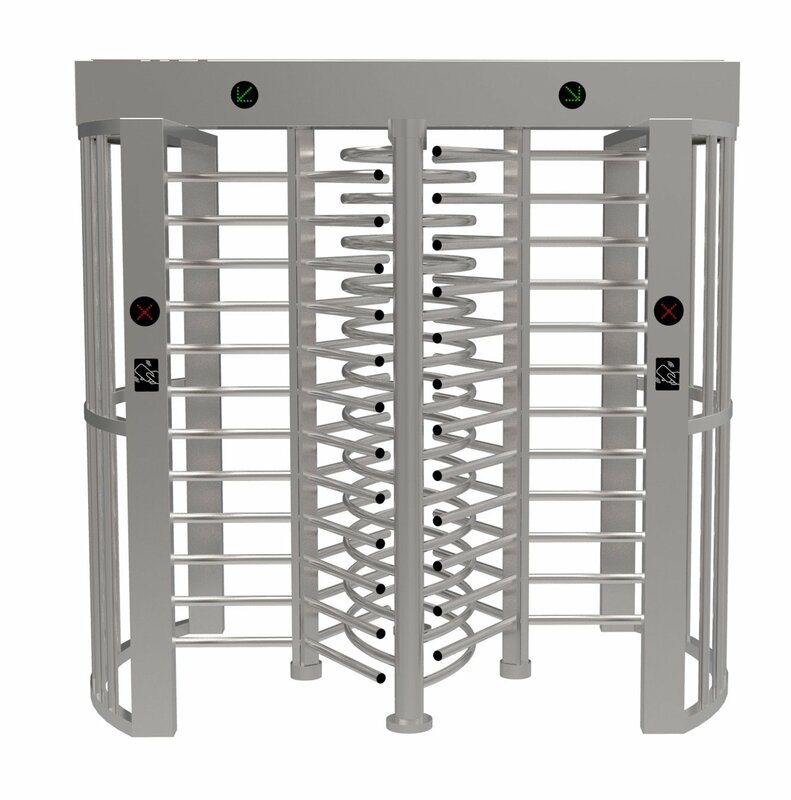 This type of turnstile is an ideal solution for applications in the stadium, factory, train station, military base or other premises that want to achieve a high level of security with unmanned monitoring. Like other types of turnstile gates, the full high turnstile can also be compatible with any other access control system, like the RFID card system, fingerprint machine system, facial recognition system, ESD access control system, etc. There are 3 arms(120degree) and 4 arms(40 degree) designs. Both the waist height and full height turnstile gate can be configured to be bi-direction and a single direction. They are available with straight arms as standard or U-shape arms. All of the core is equipped with a hydraulic damper to decrease the noise when open and close.